Want to be notified of new releases in Echtzeitsysteme/able? 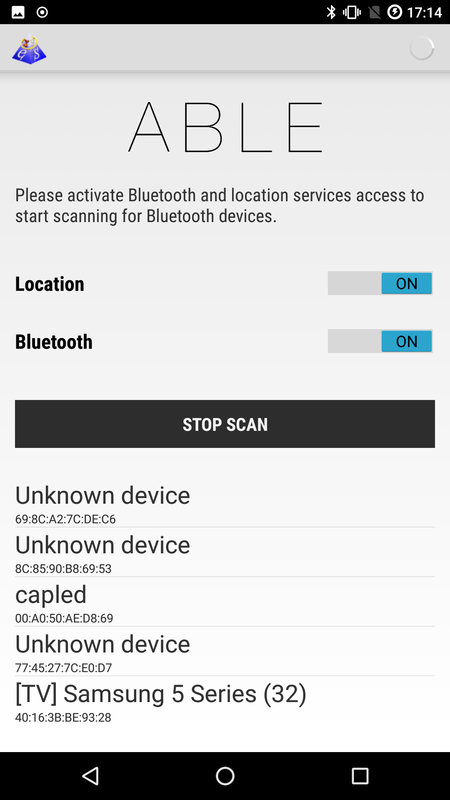 ABLE, Android Bluetooth-Low-Energy, is a framework for prototyping applications consisting of Android devices, Bluetooth LE communication, and embedded hardware. 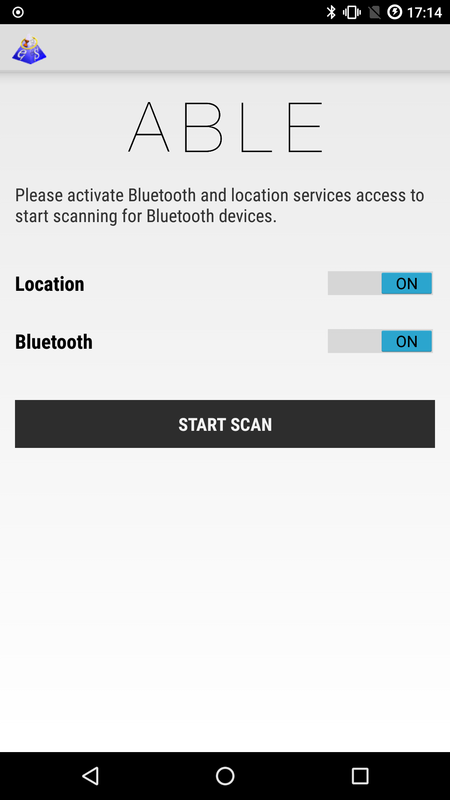 The framework takes care of the scanning and pairing process for you. 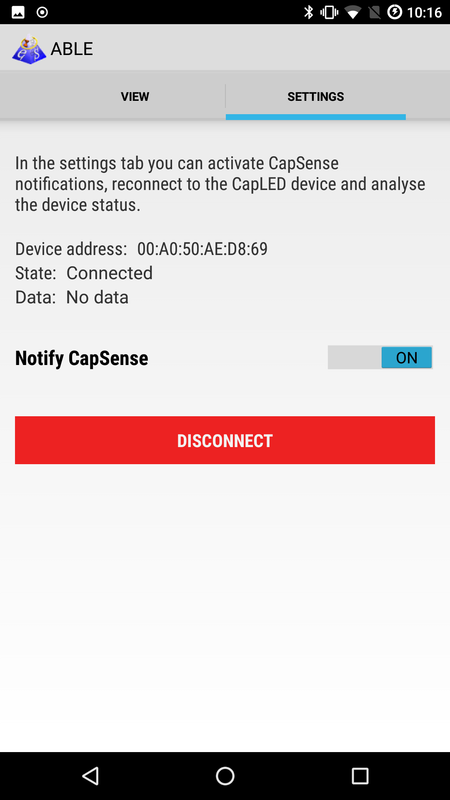 It shows you a list of available Bluetooth LE devices and provides an interface to connect, display data and display GATT services and characteristics supported by the devices. So you can focus on the main issues you want to evaluate with your device. You find a detailed installation tutorial here. 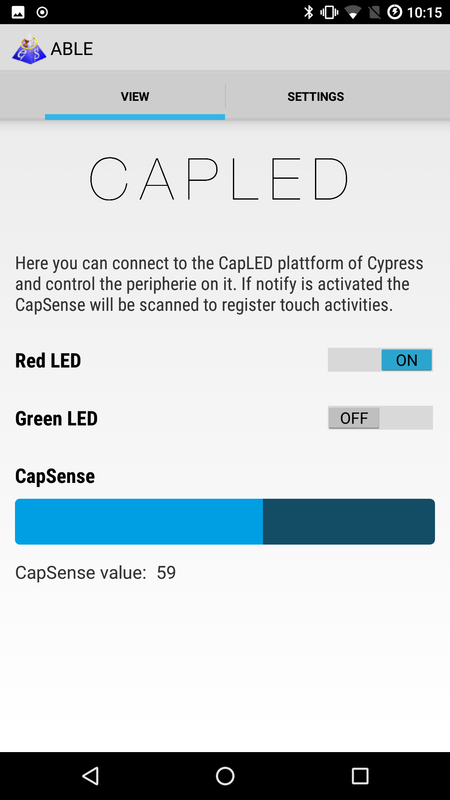 Thanks to Cypress® for the hardware support and https://360mockups.com/ for the smartphone graphics.